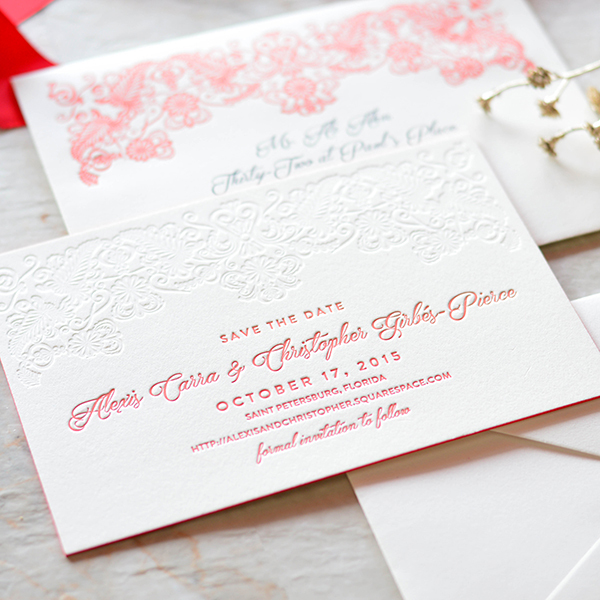 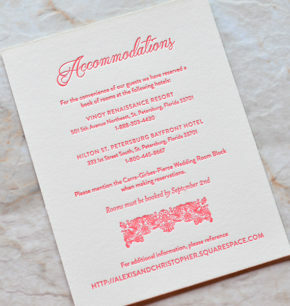 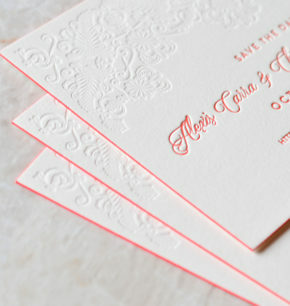 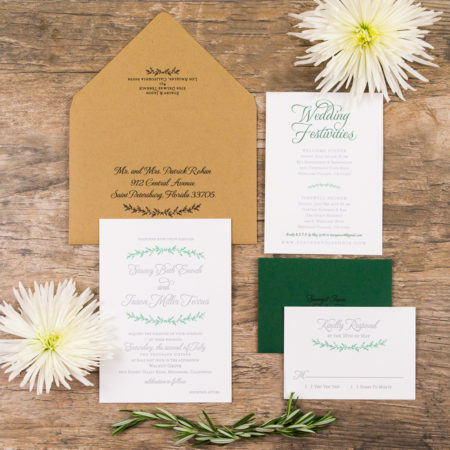 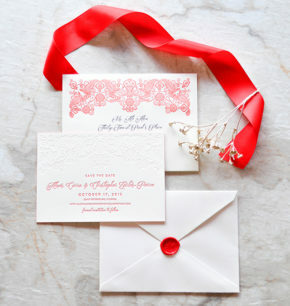 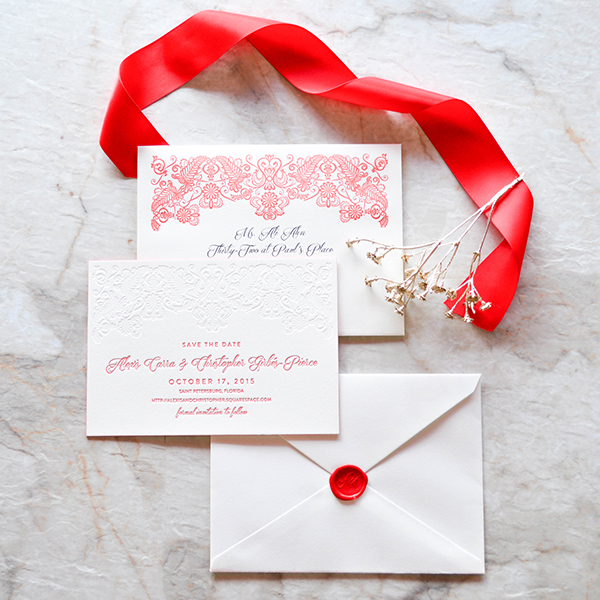 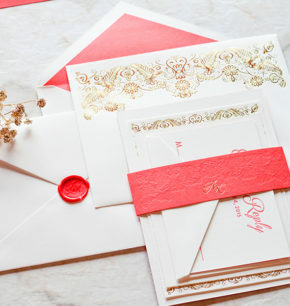 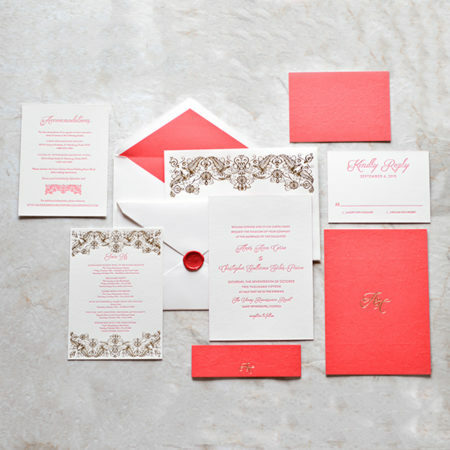 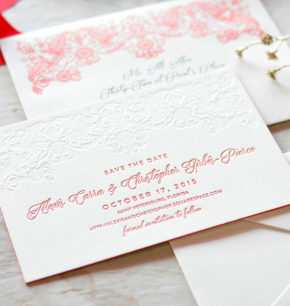 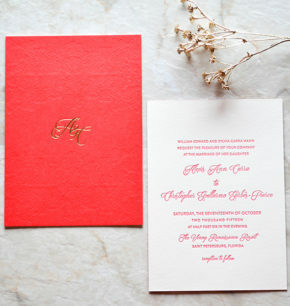 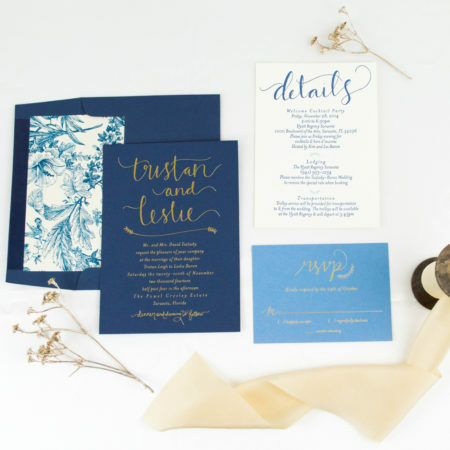 Eye-candy indulgence is what best describes this stunning Spanish themed wedding stationery!! Alexis and Christopher are getting married at The Vinoy Renaissance Resort, a beautiful historic Mediterranean revival-style hotel nestled in downtown Saint Petersburg, Florida. 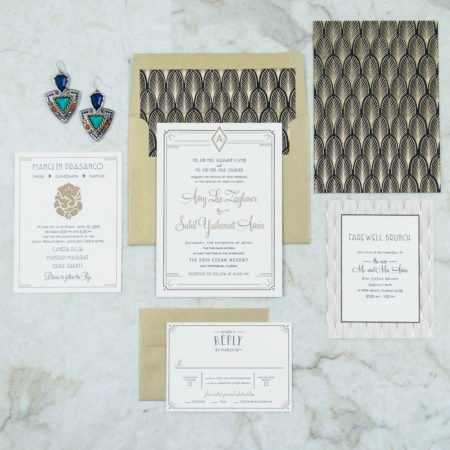 This couple has Spanish roots, and their wish was to incorporate iconic Spanish elements into their wedding design. 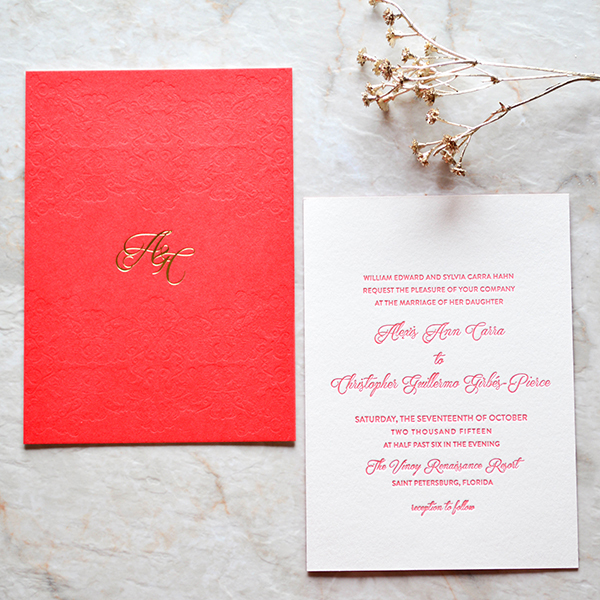 To bring their vision to life, we incorporated a floral Spanish inspired design that we carried throughout the Save-the-dates and wedding invitations. 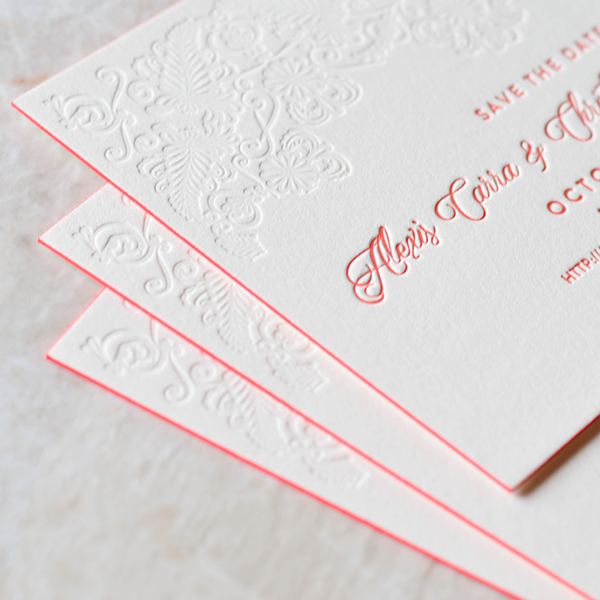 For the Save-the-dates, we blind pressed the design on the upper face of the card, pressed the wording in red ink, and edge-painted each card to accentuate the red color. 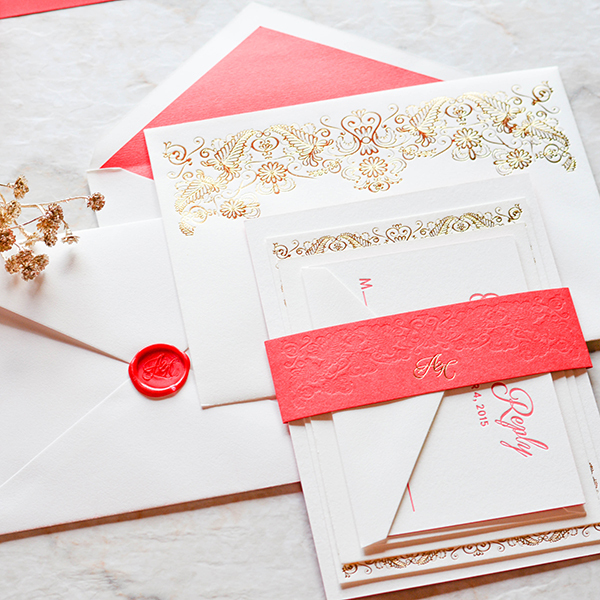 To finish the design, we embellished each envelope by pressing the Spanish floral design around the guest address.